Hello! I've got 2 more Indie's to show you today! You can purchase at this mother and daughter (how sweet!) Etsy Store These retail for $8.75 and they have packages for minis if you want to try them out before buying the large sizes. From their description: Dreamsicle is a baby blue base with a mixture of glitter....silver and blue hologram glitters are used throughout. This color looks best alone. It is opaque after 2 coats. It makes a very beautiful shade of blue. 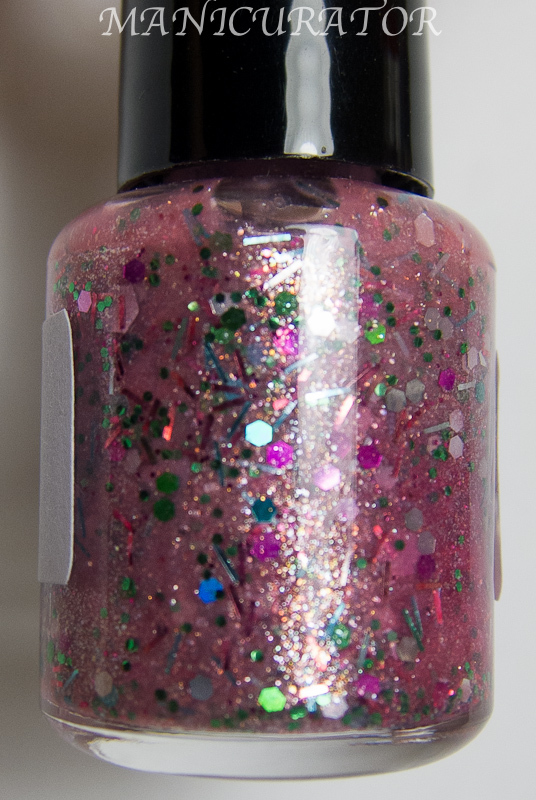 From their description: Spring Fling is also an incredible color combination!!!! 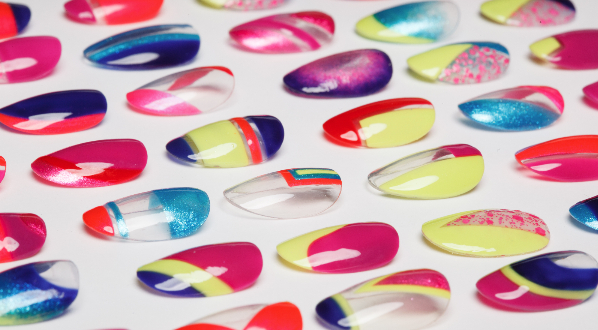 It is a polish that has complete coverage with 2 coats. It has a mauve/ pink opaque base with a beautiful iridesence to it. We have mixed in a bunch of different sizes and colors of green, pink and gold glitters... hexagons, rounds and bar strips make up this "spring combo". 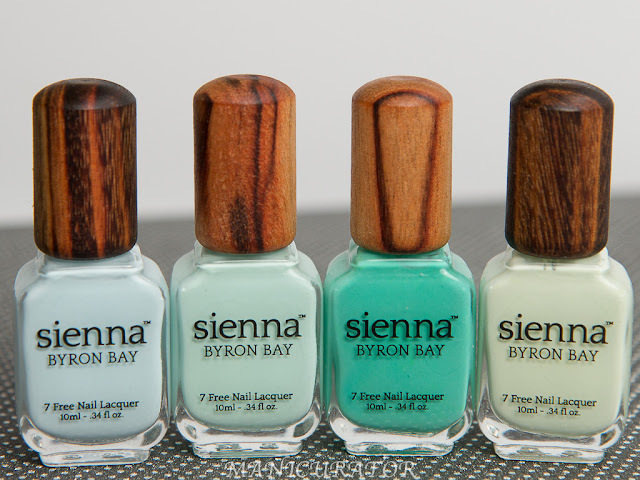 Doesn't this polish make you want to run outside into the garden and enjoy the fresh air? 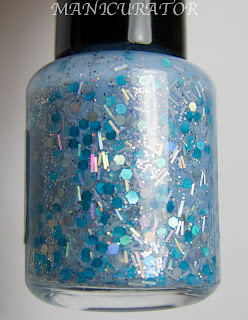 This one, though it looks gorgeous in the bottle, didn't translate well onto the nail for me. This is two coats and still has a few patchy spots. It was a little thick, and in my opinion, covered some of the pretty glitters too much. Really like this one. This is 2 coats. 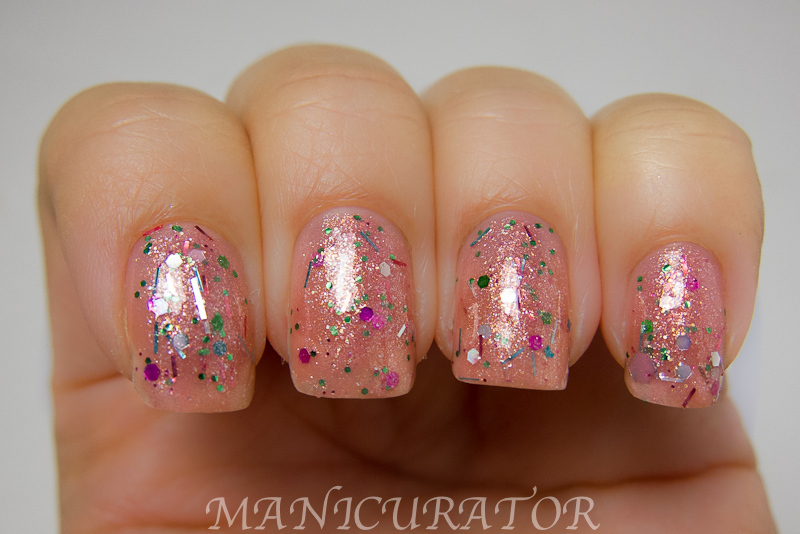 Great formula, beautiful gold shimmer, nice combinations of glitters. Indeed, very Spring-y! Love it when you do these posts. It helps me add or delete from my wish list. I'm so in love with Spring Fling! !